I find that German Christmas baking is somewhat different than what is available here in Canada. Both have their specialty factor but you all know that cookies from home for Christmas is the best. Although, I am planning on trying some different recipes this year too. One of my recipes requires Ginger syrup and since I had none at hand and was pretty sure I couldn’t buy it (correct me if I am wrong) I googled it. It’s really simple and the result is oha, if I may say so. This recipe comes originally from bushcook at Chefkoch, a German recipe page. 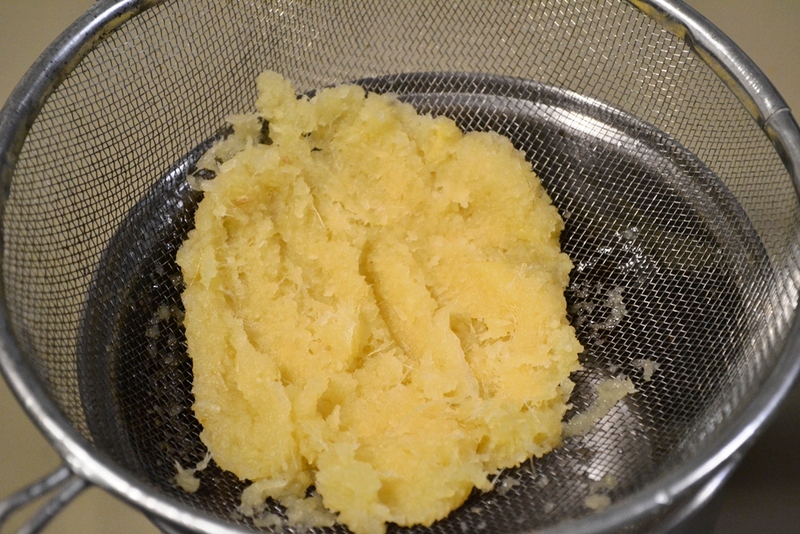 Peal and grate the ginger, then grate the lemon afterwards. Juice the lemon and keep the juice for later. 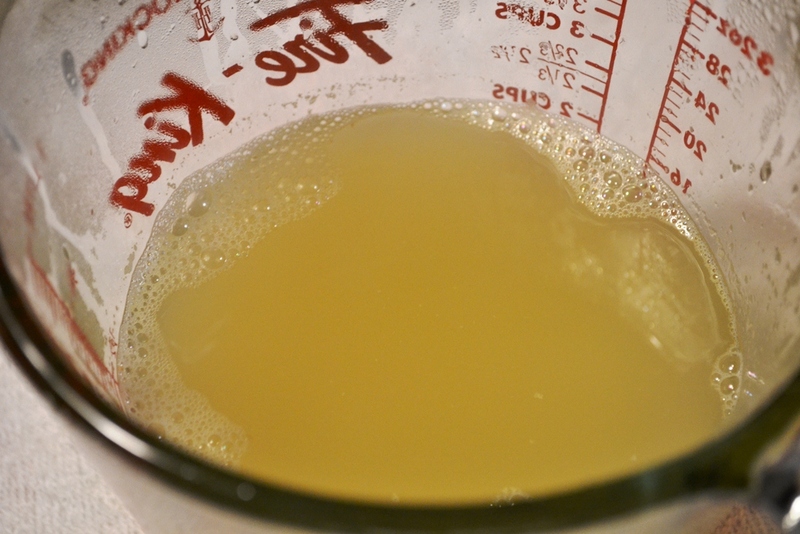 Now combine ginger, lemon zest, sugar and water and bring it to a boil. 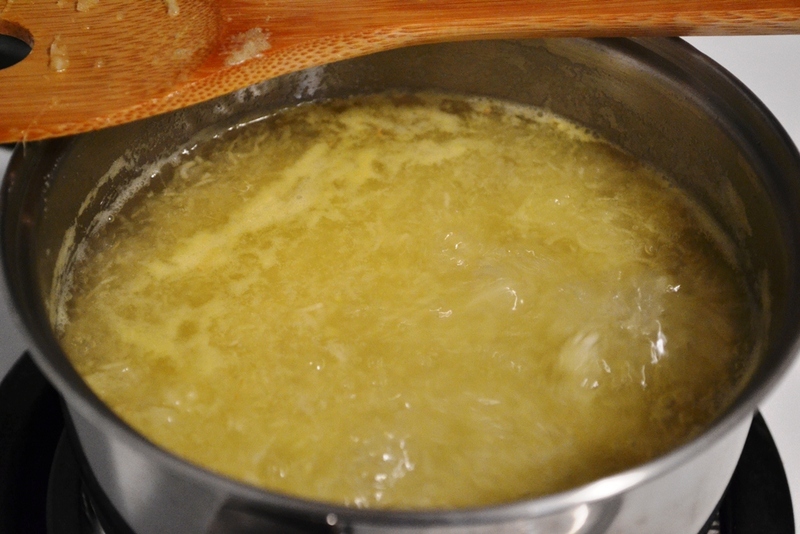 Let it boil for about 5 min before adding the lemon and then pour it through a sieve. Make sure you squeeze the ginger well. Tip: I used lemon juice because I had no lemons at hand. It works fine as well. At this point the originally recipes is done. 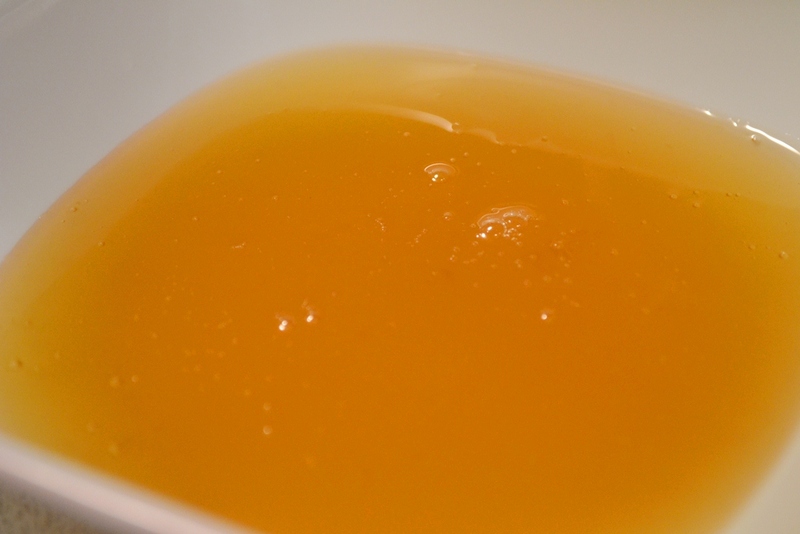 I was not happy with the result because what I got was more a juice than a syrup. So, I poured the liquid back into the sauce pan and let that cook, and I mean cook, for a good 15 min I believe. Basically, put your stove on high and make sure you stir. The water will evaporate and leave you with a syrup. The thickness depends on how you want it, the longer it cooks the thicker it gets. Even though you use a good amount of sugar, ginger is one of those spices that has a very strong taste. So that syrup will be equally strong in taste. I recommend to be careful when using. Posted in Cooking and tagged ginger, ginger syrup, lemon, lemon zest, sugar, water. Bookmark the permalink. I’m such a dodo! I’m trying to figure out how to pin this to my pinterest, but can’t figure out how to get the pin it button on my browser, can you put a pin it button on here? I’d love to do this at some point. I love ginger, but it’s always going bad on me. A syrop would be perfect! I’ll look into the pin button. However, I’ll always pin my recipes on Pinterest anyway. Just wait until this afternoon or evening. How do you do this recipe with cup measurements? Sadly, converting grams to cups is darn difficult because grams are a weight measurement and cups are a volume measurement. 350ml water are a bit less than 1.5 cups. 250g white sugar is about 1 1/4 cups. As for the ginger, I have no idea. I highly recommend, for any baking, to get a scale. It doesn’t have to be expensive.